Jean is a registered massage therapist and a graduate of Everest College of Health Sciences in Hamilton. Jean joined the team at Headon Chiropractic and Massage Therapy Clinic in 2012, where she enjoys helping people on their path to optimum health. Her treatments range from relaxation massage, myofascial release, deep tissue, trigger point therapy and recently completed courses in cupping and Indian head massage. Treating various symptoms and chronic illnesses such as headaches, fibromyalgia, overuse injuries (sprains and strains) whiplash, multiple sclerosis and Parkinson's disease. Jean is originally from Scotland and now resides in Ancaster, where she is active in her community, volunteering her time at many of the marathon and half marathon road races and local bicycling events. 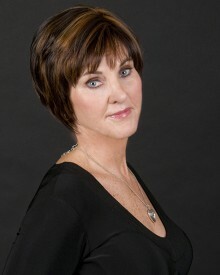 To book with Jean please call the office 905-332-8265 or login to schedulicity.com.